Malaysia is a country with cutting edge cities and authentic villages covered by tall mountains. 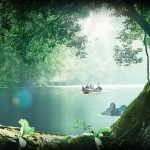 This article will show you some of the finest hiking trails, ranging from easy hikes to strenuous mountain ascents with the magnificent views that the hikers will enjoy along the way. These hiking trails are proof that hiking in Malaysia is an activity that is truly rewarding. While there are hundreds of mountains that can be mentioned, the following mountains to climb in Malaysia offer some of the most spectacular views. 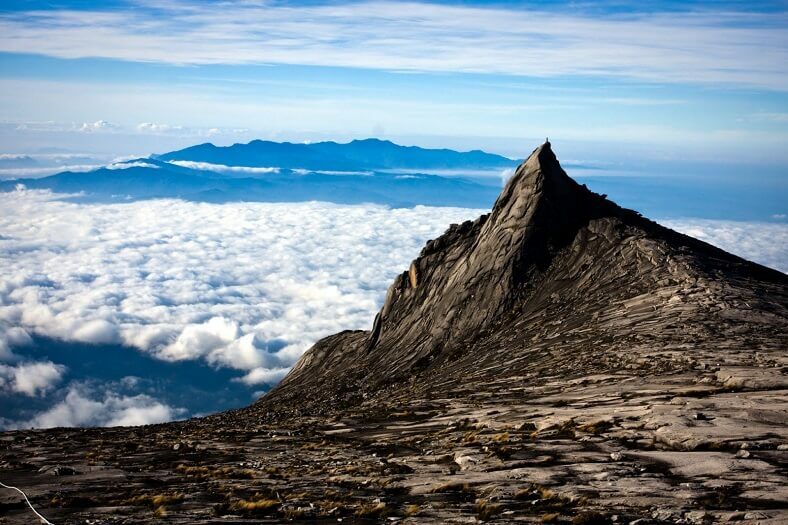 If there’s any mountain that belongs on all lists concerning hiking in Malaysia, it is Gunung Kinabalu, the highest mountain in the country and the third highest in Southeast Asia. It is located in the surrounding rainforest of Mount Kinabalu National Park, a UNESCO World Heritage Site. It’s popular among hikers and more than 40,000 of them try to conquer every year. Hikers are recommended to hire a local guide or book a climb through a tour company. Both the west-side and east-side trails up Bukit Tabur are excellent hiking trails in Malaysia, while the former tends to receive more hikers. These hiking trails are very popular, especially during the weekends when locals and travelers head to the peak to watch the sun rise or sun set over Kuala Lumpur. Although Gunung Nuang is not a tall mountain by Malaysian standards, it still deserves to climb. You can hike to the summit and back down in just one day, but it is more interesting to make a two-day trip because there are shelters and campsites on the way. The Pine Tree Trail runs up and down toward the peak of Pine Tree Hill and Rhodo Hill. On the way, there are stairways and even a climb with ropes. Both summits offer great view of the surrounding landscapes. Hikers need three hours of hiking one way. The loop hike to the peak of Penang Hill is about 11 kilometers long that takes about five hours to complete. The trail is often steep and not always well marked, but there is an unparalleled view from the summit. Mount Jerai is a huge forest-covered piece of limestone that once was an important navigational landmark for spice traders. From the peak, the view of the surrounding flatlands is amazing. 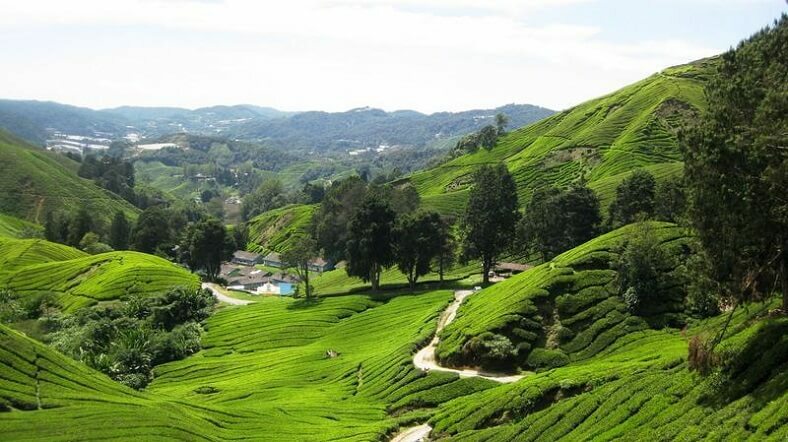 The beautiful Cameron Highlands are well-known for their hiking trails. This is an area of jungle-covered mountain with large tea plantations. 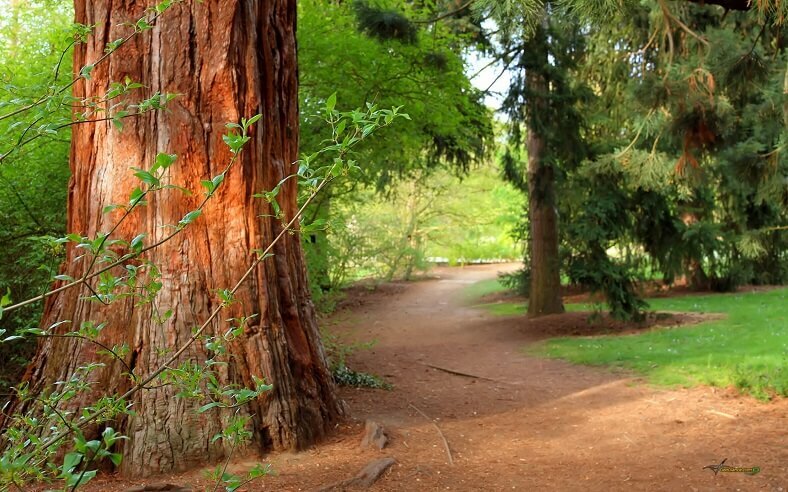 Numerous hiking trails crisscross the landscape, and it is a very scenic hiking destination for adventure travelers. Gunung Tahan is a most challenging mountain because it can only be reached after a long trek through the jungle. The 100 kilometers long trek traverses other mountains, crosses rivers and runs through rainforests. This is a mountain that should only be climbed by experienced trekkers along with a guide. On the contrary, Gunung Angsi is one of the easiest mountains to ascend in Malaysia so it is suitable for almost people. This mountain is not tall and the round trip to the summit doesn’t take longer than an hour and a half. The trail is quite easy, with only several short steep sections. Because it’s relatively close to Kuala Lumpur, it attracts many people all the time. 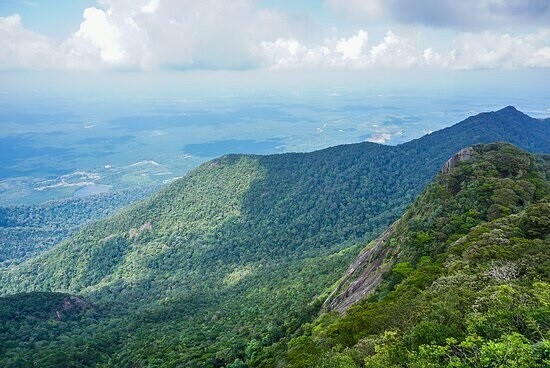 Located in its national park, tourists can approach legendary Gunung Ledang after only a couple of hours by car from both Singapore and Kuala Lumpur. Its accessibility and spectacular natural scenery makes this a very popular mountain. The hike to the peak lasts 5 hours that is suitable for people with a decent level of fitness. The summit of this mountain offers marvelous view of the surrounding tea and vegetable plantations. These highlands have comfortable temperatures providing a welcome retreat for many adventurous travelers. However, the region is still wild and there’s a dense network of hiking trails. Hikers, are you ready to conquer all of them? The views will be surely worth the climb! Penang National Park – A Destination For Nature Lovers!